Jodi Phillis’ new album ‘Becoming’ is out this Friday 19 October. We chat to the mutli-faceted musician about delivering on a successfully crowdfunding campaign, putting out the difficult subject matter and juggling her music and personal life with her other band, The Clouds. How rewarding is it knowing the whole album was crowdfunded? Well the whole album wasn’t crowdfunded. In reality, about a third was paid for from the people who pledged to the campaign, which is awesome. I started the Pozible campaign well after we started recording. It covered a lot of the costs involved in mastering and manufacturing. People have to understand that writing, arranging and recording takes a lot of time, which nobody pays independent artists to do. Seeing as the fans made the album happen, did you feel any pressure to deliver a high quality body of work in the end? I always feel pressure to deliver high quality music. I owe it to myself. The kind people who supported me trust me to come up with something they will enjoy, otherwise they wouldn’t have pledged. The album touches on very personal subject matter. Was it hard putting yourself out there this much? I actually enjoy that side of being a singer, songwriter the most. I feel like it is some kind of moral obligation, to tell my deepest truths in the most moving way that I can. I don’t know why, it’s just something that I feel inside. It is a bit scary sometimes for sure but it’s kind of a thrill as well. Is it difficult reliving these experiences when performing these tracks live? I sometimes have to stop singing Badlands. That one is the saddest song on the album and it can choke me up mid song. It is a song about the ultimate form of separation anxiety, grief. I wrote it shortly after my mother died. RELATED: Read our review of Jodi Phillis’ recent single, Becoming, HERE. What are you most excited about for people listening to the album? I hope people feel moved by it. I hope it makes them smile… and cry… and feel like everything is okay, underneath all of their worries and fears and dramas. I look forward to hearing the reactions. It’s always interesting but I don’t take it too seriously. You can’t please everyone. Do you consider your voice as another instrument? How do you juggle your solo career with The Clouds? That is a real challenge. I try to concentrate on one project at a time. Because The Clouds were such a big family, with a bit of a machine behind them back in the ’90s, it’s hard to move forward in a way that is only part time now. We sometimes get excited about recording or touring and then realise that someone can’t get time off work, or another hurdle comes up. We do the best we can juggling everyone’s work/family life. Once you factor in all of us living in different parts of Australia, it makes it even harder! Somehow we make it work though, even if we only tour once a year. 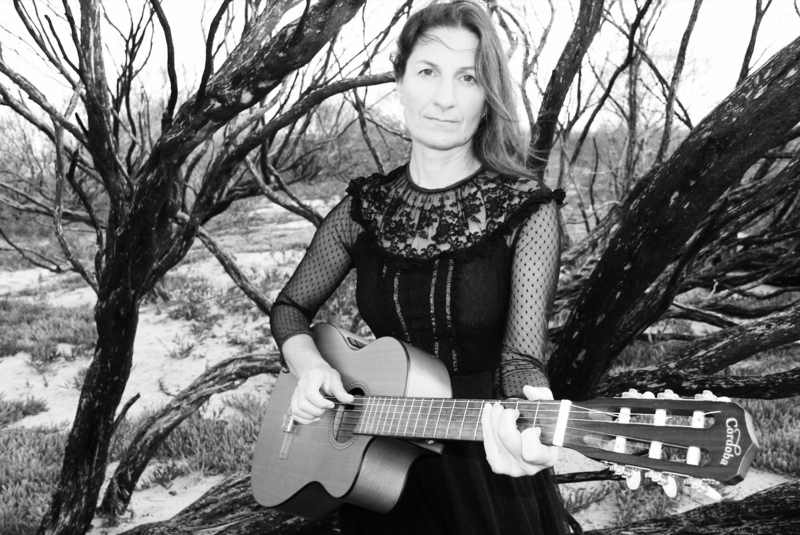 Jodi Phillis sets out on tour this November behind her new record. Scope the full dates below and stream album highlight, Becoming.